Have you ever experienced a physical or emotional reaction when hearing a particularly pleasing sound? Perhaps you have a favorite musical instrument that always makes you happy when played well, or you might know a person or two whose voices sound so relaxing, so calming that you feel better just hearing them talk. But have you ever heard of “singing bowls”? If you have, you’ve probably already experienced their surprising ability to put your mind and body at ease, as their structure creates sounds that share acoustical qualities similar to the human voice. Hence, the use of “singing” in their name. 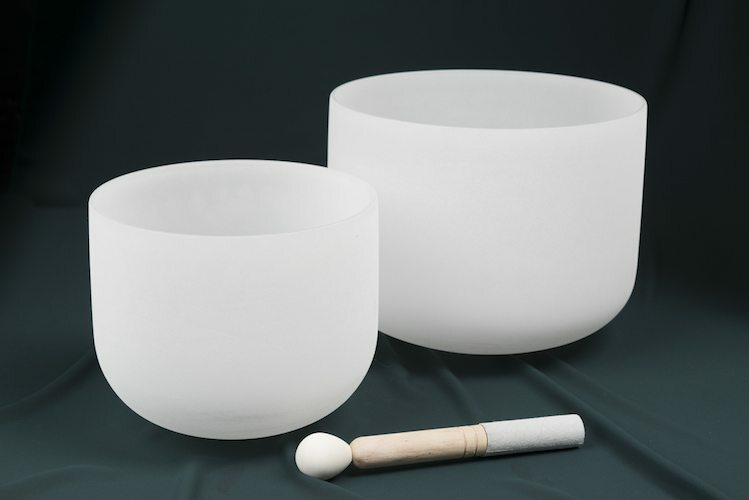 Singing bowls are often used in sound healing sessions to soothe, relax and bring resolution to “stuck” emotions, as well as areas of body tension and pain. One reason that sounds have the power to calm or enliven your body and emotions lies in the specific frequencies and intensities of the sounds themselves. Sound is vibration, and certain vibrations are resonant with the natural vibrations of cells in our body and have the ability to “connect” with us when we hear them. Singing bowls can help your body to vibrate at a healthier rate when you’re stressed out and you feel wound up and tense. Their vibration can help slow the rate of your brainwaves, heart rate and respiration, all of which encourage relaxation. They can “resonate” with the frequency of an area of tension in your body or a difficult emotion, then encourage unwinding and release. During a sound healing session, singing bowls can be used in a few specific ways. One way involves striking the bowl with a soft mallet to create a strong, ringing sound. If you picture a traditional bell, with the clapper striking the inside, you’ll know what we’re talking about. These strong sounds often resemble the sounds of chanting or the familiar meditative “Ommmm …” sound. A second way a singing bowl could be used is by sliding the soft end of the mallet around the rim, much like someone would do with a wet finger on the rim of a wine glass. This creates a more subtle, resonant sound that you can both hear and feel vibrating through you. Singing bowls do more than simply create pleasing sounds – they help bring your body back to its natural, healthy vibratory frequency so that healing and restoration can begin to occur. If you’d like to learn more about healing with singing bowls, or would like to experience a session, click here to get in touch.